CHICKS ROCK! is happy to welcome Patricia as a guest blogger this week. 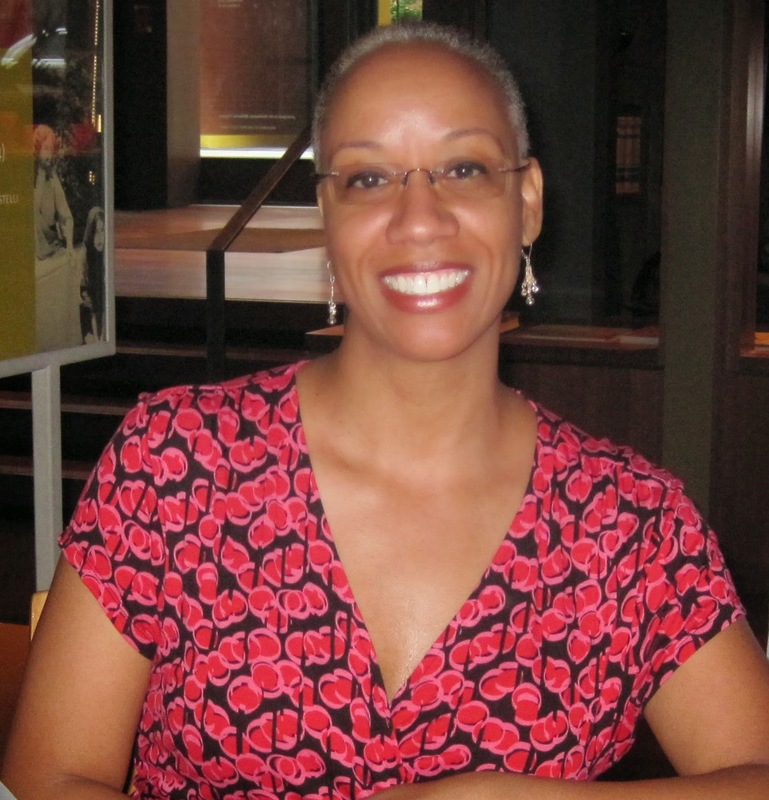 Patricia Philippe is a Haitian-American writer, creative writing workshop facilitator and marketing consultant living in the Bronx. Currently she blogs about the journey of re-inventing herself after years as a caregiver and is working on a number of writing and teaching related projects. When I reflect on my life, I notice that the common threads of curiosity, exploration, and courage have always been present. There’s a Polaroid from my childhood that I look at when I begin to wonder if I am being authentic. At about eight years old, my twin sister and I stand in front of a building with a pale yellow tiled façade. We pose shyly in our matching orange plaid coats. My head is tilted to the side, eyes lifted up to the sky, a classic Patricia is in the deep thought pose that my friends recognize even today. I imagine my eight-year-old self thinking there are issues in the world to solve, stories to make up, and new things to explore. Wondering what to do about the things my eyes witness but don’t understand how to fix. After college, I signed up for the Peace Corps. Images of starving children beckoned me. Thoughts of teaching English enticed me. But I didn’t go. I was afraid. There was healing that needed to take place before I could be present in an inspiring way for anyone else. Fast forward 20 years and you’ll meet me, a woman who feels like she’s walked a thousand miles in the desert with 100-degree sun scorching her naked flesh. She experimented. She learned. She thrived. After completing personal development programs about transformation, living authentically, healing from the past and choosing self-care, I consider that perhaps I have always known who I am. My name is Patricia Philippe. I am a writer. A healer. A teacher. In September, I will volunteer with VoiceFlame in Malawi, Africa to lead writing groups for orphaned girls and village women. Writing my story has allowed me to channel the wisdom of that little girl who contemplated how to make silk thread from broken glass. I found my voice through writing. The project in Malawi supports others in the discovery of their own strong, unique voices. Click here to learn more or to make a donation to sponsor me; I greatly appreciate your support.